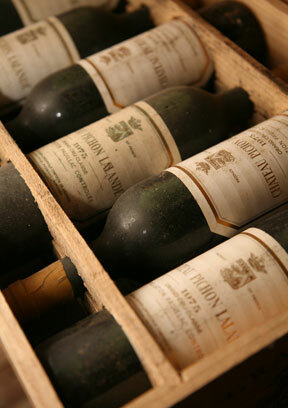 De Vinis Illustribus specializes in rare, old wines dating back over a century. Lionel MICHELIN draws on his wine expertise and experience organising tastings to select classic wines, rare wines and special occasion wines. Visitors to De Vinis Illustribus can browse a full spectrum of excellent value wines. Lionel personally chooses all the wines at De Vinis Illustribus and the bottles on display are his own favorites, discovered on trips to vineyards and during wine competitions, at which he is often on the jury.